Samsung has officially restored the Galaxy Note Series with the release of the Note 8. The device is back with a larger Infinity Display, and a 6.3-inch screen giving you more space to use the S Pen. Although it’s larger, the smooth, seamless body is still easy to hold and manipulate. Thanks to the 18.5:9 aspect ratio and Multi Window Mode, you can see and do more at the same time. The fingerprint scanner is virtually flush with the back of the device, and the Home button is embedded underneath the display, thereby rendering a clean, minimal design. 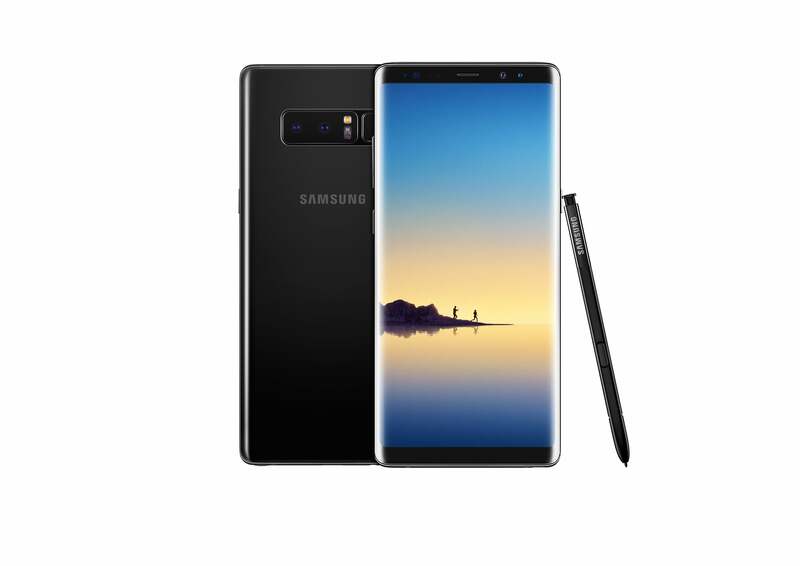 Samsung Galaxy Note 8 Midnight Black.Image credit: Samsung. The Note 8 truly shines with its 12MP dual camera technology that includes features like live focus, dual capture and the bokeh effect. Its telephoto lens allows you to zoom in clearly with 2x optical zoom, and both cameras have optical image stabilization. The Note 8’s wide-angle camera captures more light with its 1.4 pixel and bright F1.7 lens, making it ideal for use in low light situations. It includes 6GB RAM, dual SIM capability, bio-metric authentication and expandable memory up to 256GB via microSD card. With these improvements, plus standard Galaxy features like dust and water resistance, the Samsung Galaxy Note 8 is definitely back with a bang.